Remember Doom? Skulltag makes it even better. Alas, Skulltag is no longer developed. But check out the creator's next project: Wrack! Skulltag is a port for the original Doom and Doom II by id Software. Skulltag brings classic Doom into the 21st century, maintaining the essence of what has made Doom great for so many years and, at the same time, adding new features to modernize it, creating a fresh, fun new experience. Sadly, it is no longer being actively developed (you can read more about that here), but is still available for single player and archival purposes. Modifiers, like Instagib and Buckshot, can be used to spice up any game. Head over to the download page to get Skulltag, and let the fragging begin! Copyright © 2019, Skulltag Team. 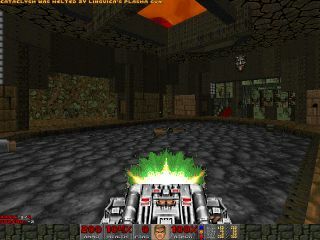 Doom and Doom II are the property of ID Software.